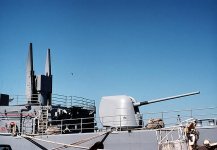 The MK 26 Guided Missile Launching System (GMLS) is a fully automated system that stows, handles, and launches a mixed load of weapons. 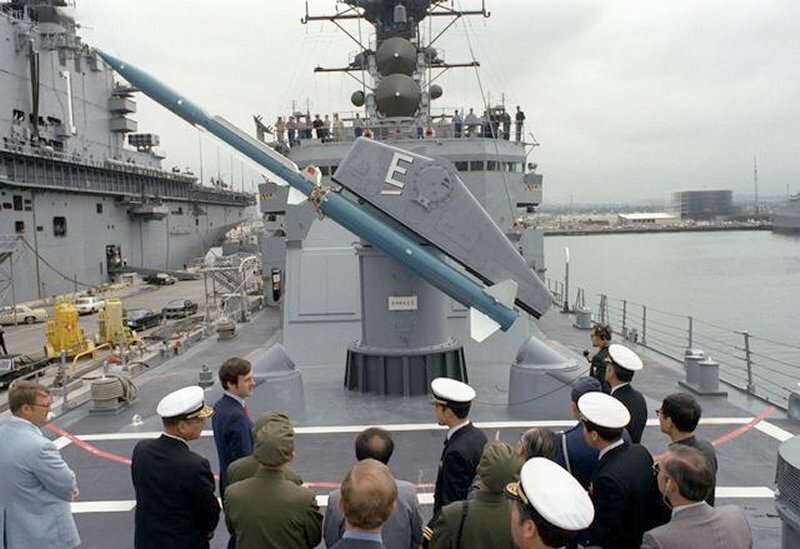 The system is engineered to accept any combination of STANDARD Missile 1-MR, STANDARD Missile 2-MR anti-aircraft and ASROC anti-submarine missiles as well as many future growth weapons, including a surface-to-surface missile. 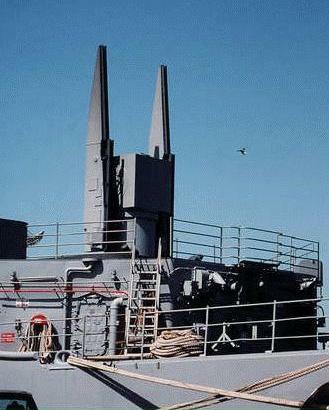 The surface-to-surface missile will have the same system-missile interfaces as the anti-submarine missiles. 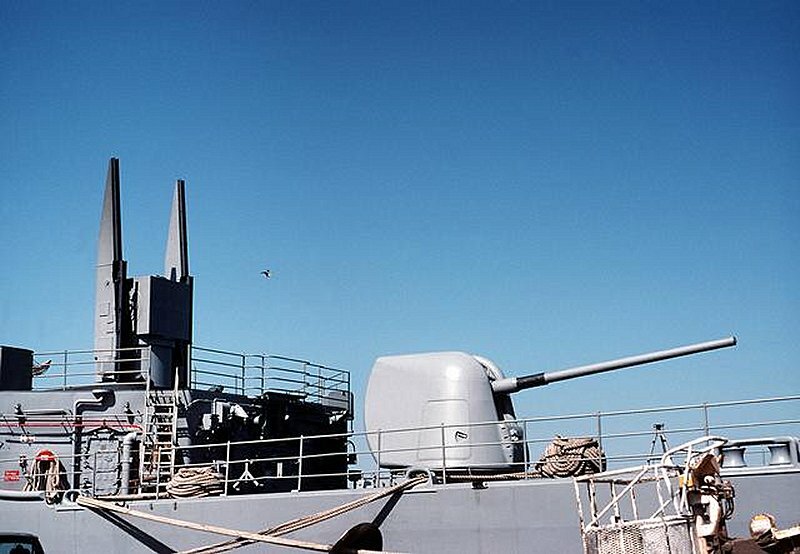 Even with this mixed-weapon capability, the Mk 26 has the shortest reaction time and the fastest firing rate of any shipboard launching system. With only one man at the control console, a weapon can be selected, hoisted to the guide arm, and launched (when ordered by Weapons Control). Three mods (0, 1, and 2) provide magazine capabilities of 24, 44, and 64 missiles respectively.